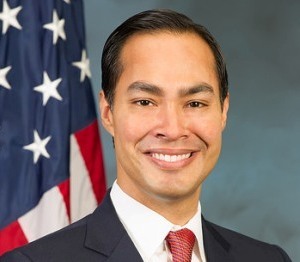 When Housing and Urban Development Secretary Julian Castro was growing up in San Antonio, many of his friends and peers lived in public housing.Â In addition, the former San Antonio Mayor’s father lived in public housing at two different periods in his life. Castro, who took office in July of last year, spent his first few weeks traveling across the country to find out the agency’s mission and impact. In a phone interview, he stressed his commitment to ensuring that low-income Â African-Americans gain a fair playing field when it comes to empowerment through homeownership. The latest data from the Census Bureau finds that the homeownership rate for White households in the U.S. is 72.3%, while just 42.1% of black households own homes.Â These disparities have been exacerbated by the Great Recession, but the story has remained the same. In addition, the HUD Secretary says lower mortgage payments through the government’s loan modification program will Â go a long way towards helping African Americans and others hold onto their homes. 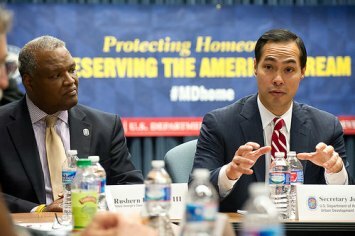 Regardless of the unique economic and social challenges blacks face that impede homeownership, Castro says they can look to HUD as the, “department ofÂ opportunity,â€ and we can also look forward to new initiatives in the areas of financial counseling, financial education, and access to broadband in public housing.